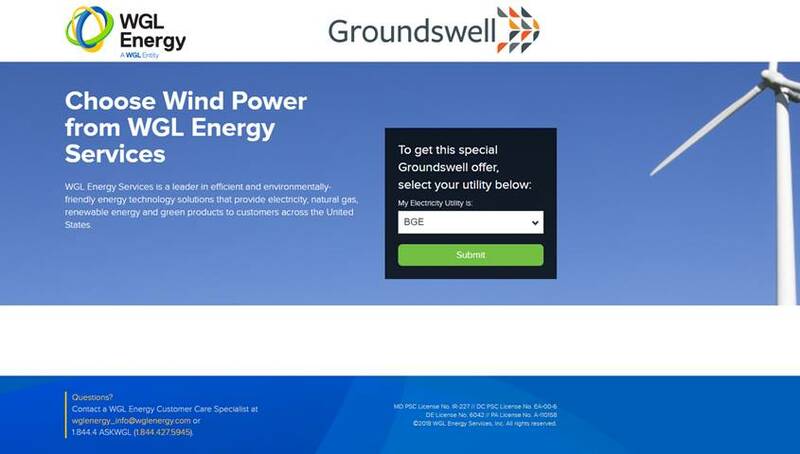 Switch to 100% Green-E windpower through Groundswell. You’ll reduce your carbon footprint and Memorial gets $10 for each parishioner or friend who makes the switch! 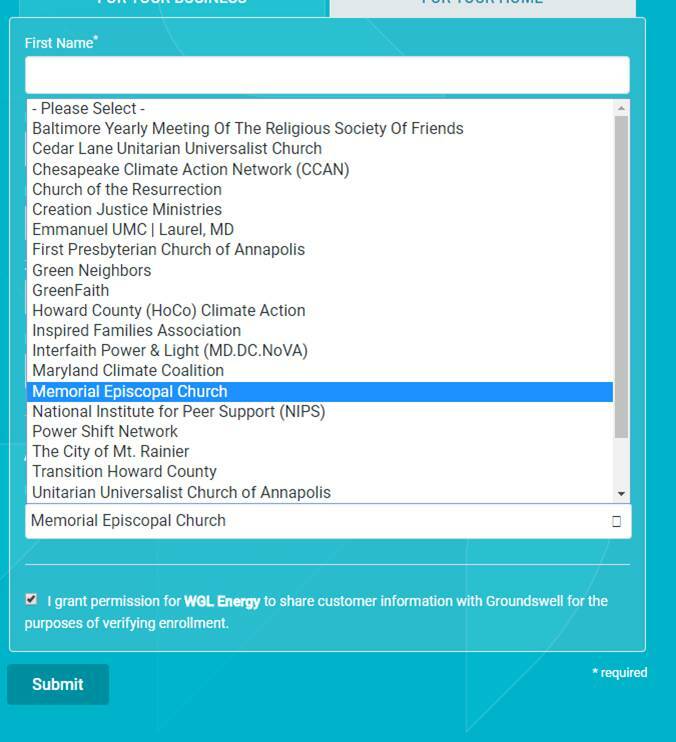 Fill in your personal information and then select Memorial Episcopal Church on the drop-down list, check the permission box and hit “submit”. 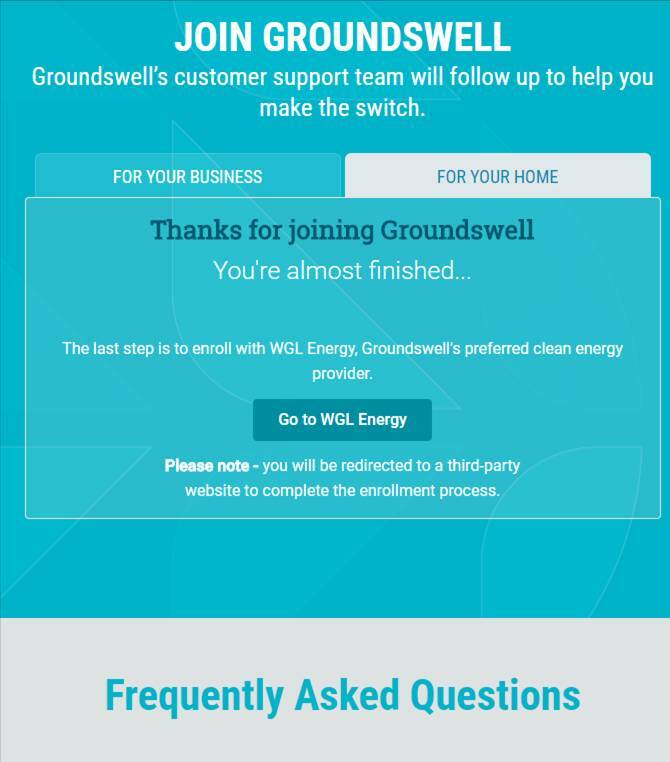 You will see the screen below (check out the Frequently Asked Questions) and then click the GO TO WGL Energy Box. Once you’re on the WGL site, select BGE from the drop down list and hit submit. You will see the prices available for BGE customers. Choose a 1-year contract, currently priced at 8.6 cents per kilowatt hour, or a 2-year contract at 8.4 cents. Anyone who pays an electric bill, regardless of whether they rent an apartment or own a home, can sign up for a 1 or 2-year contract. You will NOT receive a second bill and you will simply see a change in your electricity supplier from BGE to WGL. If you are currently under contract with an electricity supplier other than BGE, you may not be able to enroll until your contract is up.